As a reminder, all families with any negative balance on school lunch accounts will receive an automated phone message on Sunday evenings. 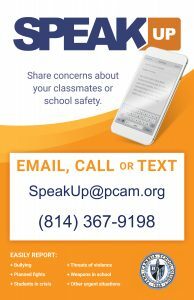 Please see the link below for information about how to access your online school lunch account, make payments, or view what your child is eating or purchasing. Please contact us at 814-886-7753 x1103 if you have questions or need assistance.